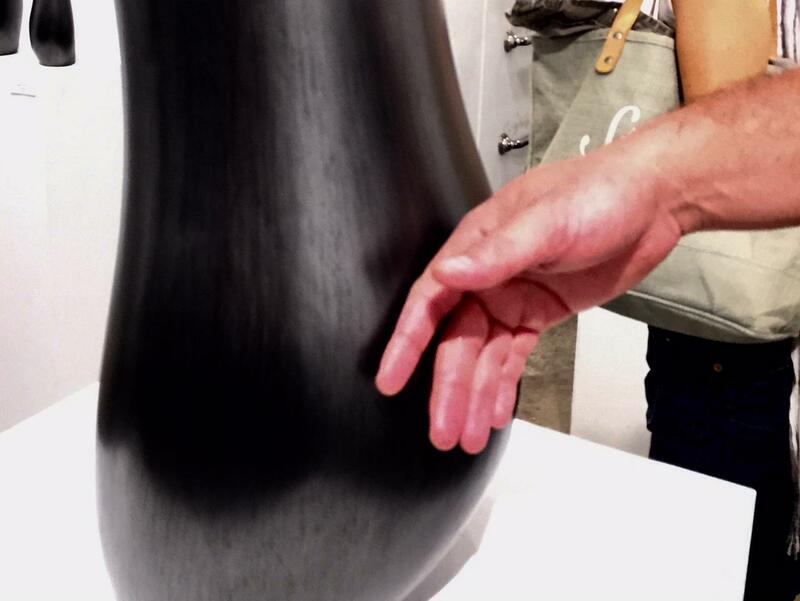 Big Island sculptor Lonny Tomono does what everyone wants to do---run their hand over this graphite covered wood sculpture. A show of Tomono's work, Go Figure, continues through September 2018 at Ars Cafe on Diamond Head. 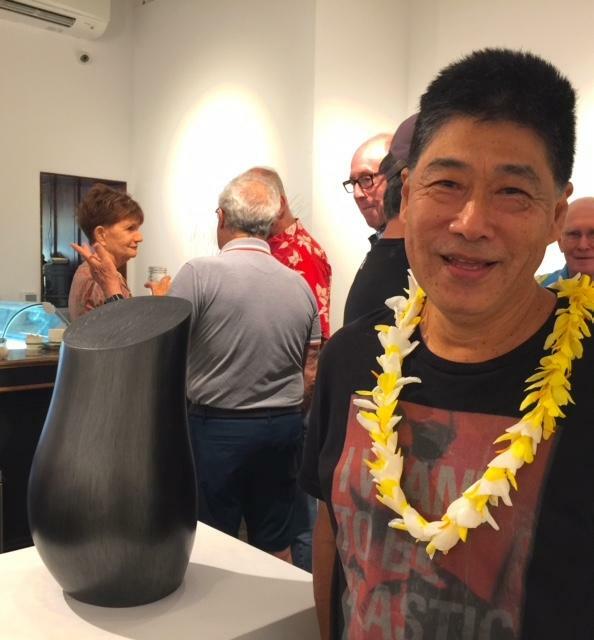 Sculptor Lonny Tomono is returning from an artist's residency in New York City, just in time to celebrate a show he’s got at Ars Café on Diamond Head. 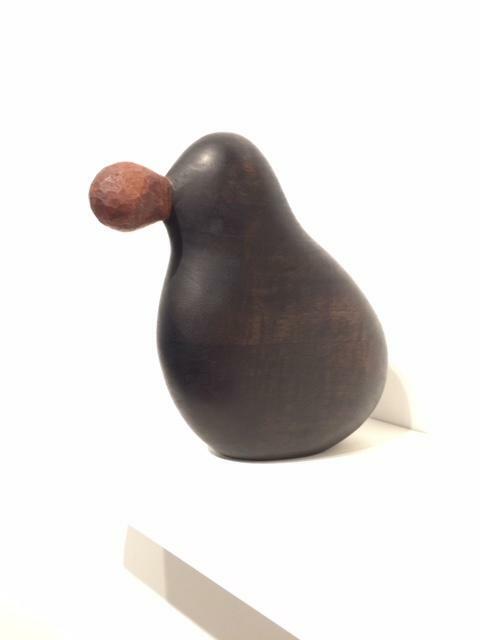 The classic, but sensuous, wood sculptures were all made in Tomono's studio outside Hilo. 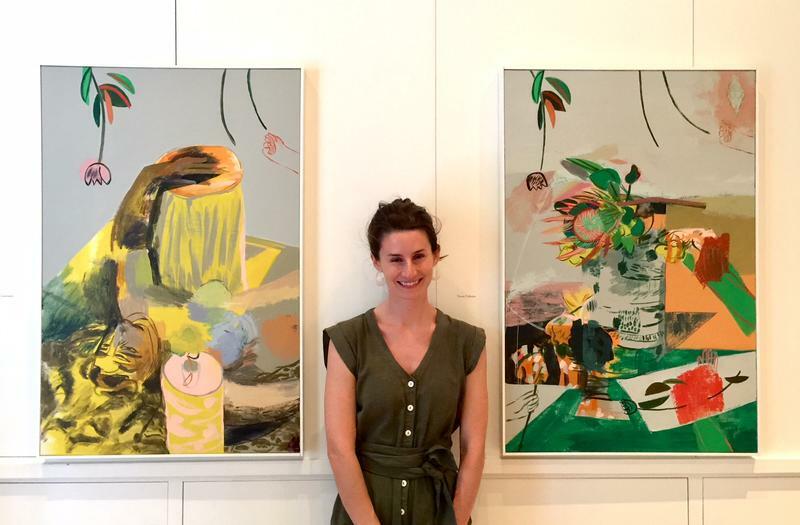 Artist Lonny Tomono just returned from a printmaking residency and show at the Fisher Gallery at the Horace Mann School in Riverdale, New York City. Several prints are on display in the current show. In fact, the piece Tomono mentions in his sound bite has been purchased from the show, but the rest of the exhibition, Go Figure, remains on view through September 2018 at Ars Café on Diamond Head. 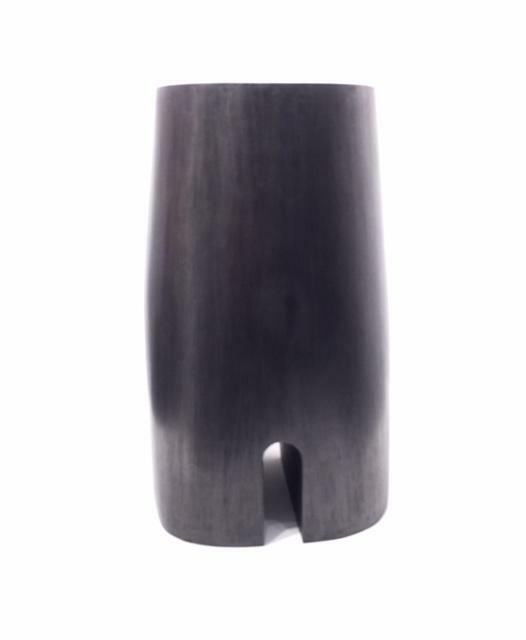 Tomono studied fine arts at UH Mānoa, then sculpture at San Francisco State and San Jose State Universities. His specialty is wood carving, influenced by years of study in Japan with a traditional temple builder. Those woodcraft techniques, including traditional joinery, are part of his artistic toolkit. Lonny Tomono. Untitled Bird. Wood. looks very heavy! Other pieces exhibit a sly humor. There’s a summery show of flowers and figures on view at the Halekūlani Hotel now. HPR’s Noe Tanigawa reports, a local painter is pulling together many parts of the community, in life and on canvas. Erick Swenson’s sculptures look so real, they make people gasp. 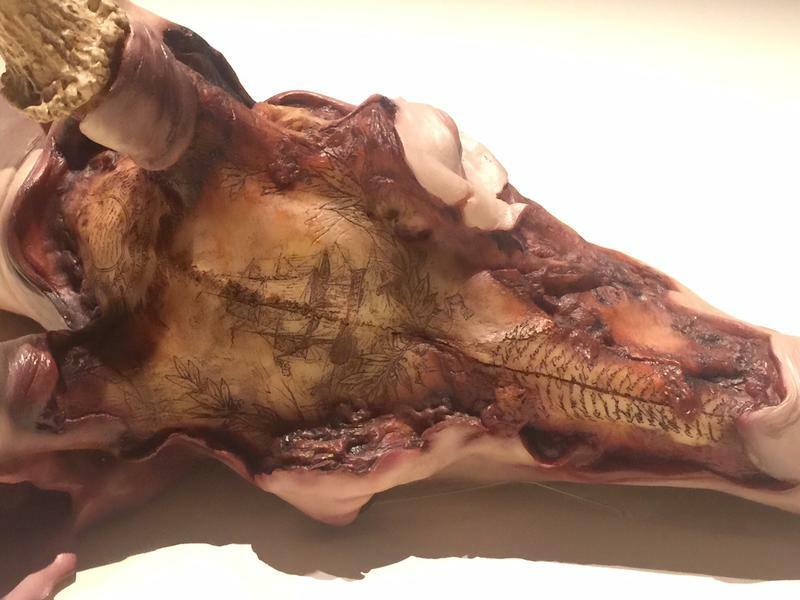 You simply do not expect to see a life size seven point buck, flayed, its flesh peeling back from bones, lying, surprised, on a gallery floor. HPR’s Noe Tanigawa reports, Swenson mixes animals and humans too, so you begin to think maybe some odd looking creatures really exist. A plucky little gallery on the Hanalei River is mighty glad not to have seen flooding over the weekend. Still, it’s a surprise to area regulars that Ola’s Hanalei, known for its array of fine art and crafts, will be closing at the end of October. HPR’s Noe Tanigawa spoke with the owner of Ola’s yesterday, as intermittent downpours fed a rising Hanalei River. This month we’ve been focusing on a number of groups celebrating big milestone anniversaries. For the Bamboo Ridge Press, this marks its 40th year. We sat down recently with Gail Harada to talk about the milestone for this local group and the community support behind its success. and a new book it launches tomorrow.